It was a pretty intense season as we returned to a full schedule following the NHL lockout and dealt with new divisions and rivalries. History was made in a good and bad way, but in the end we were just happy to have a full 82-game season back. From individual players reaching new highs or lows to teams defying all odds, it was a year to remember with some pretty crazy stats turning up at season's end. 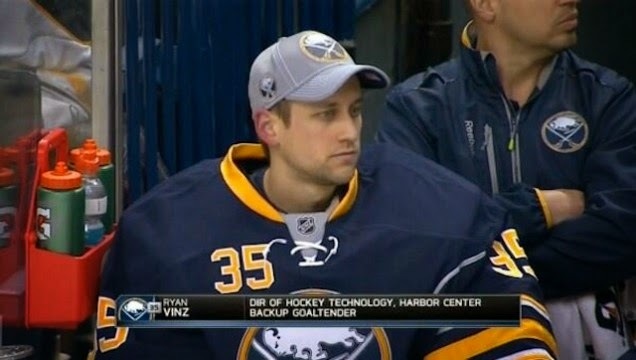 Six goaltenders made it into games for the Sabres this season, but they did have an NHL record 9 goaltenders dress. Ryan Miller, Jhonas Enroth, Nathan Lieuwen, Matt Hackett, Michal Neuvirth and Connor Knapp all saw action, while Jaroslav Halak, Andrey Makarov, and Ryan Vinz dressed as backups. The most notable of these goaltenders was Vinz who was the Sabres video guy. We guess it was a good year to be in the Sabres farm system (or video department). HE DID IT! Leino went the whole season without scoring a single goal. With his 0 goals and 15 assists in 58 games, only one NHL player has scored more points without a goal and that was Dan Bourbonnais in 1983-84 when he put up 16 assists in 35 games played. We're gonna have to give Leino the benefit of the doubt here that Bourbonnais would have scored had he played 58 games and say that Leino's goalless season is the worst ever. Another factor for our reasoning is that Leino had a cap hit of $4.5M this season. The Leafs were outshot in all but 15 games this season and surprisingly had a 30-27-8 record when being outshot. Allowing an average of 35.9 shots against/game, they beat the previous record of 2911 shots against in an 82-game season set by the Buffalo Sabres (95-96) and Atlanta Thrashers (01-02). 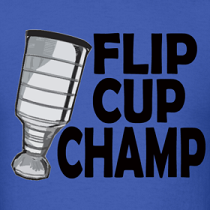 We wonder if the Maple Leafs management knows about this record? Probably not. Ovie hit the 50-goal mark for the 5th time in his career and made some history in the process. He passed Mike Bullard's 30 year record for the worst +/- of a 50-goal scorer by topping Bullard's -33 record with a -35 rating of his own. It was a rough season for Ovie who was constantly bashed for his defensive play and thrown under the bus by analysts and even Coach Oates. Despite only making it into 37 games this year, Stamkos still finished 43rd in NHL goal scoring with 25 goals. With 15 goals in 17 games before breaking his tibia in November he had built himself a bit of a cushion and his 82-game goal pace would have been at 55 to secure a potential 3rd Maurice Richard Trophy. Had his goal scoring pace not slowed since returning in March he could have finished much higher with 29 guys in the 25-29 goal range. Stamkos finishing Top 20 would have been amazing, but finishing Top 50 is still pretty crazy. Boston tied Anaheim in wins (54) and ROW (51), but they truly were the better 60-minute team winning 47 games in regulation to the Ducks 44. That's an impressive 80% of their points coming in regulation and they probably could have hit 50 regulation wins had they not rested star players the last week of the season. 47 regulation wins isn't a record, but really gives perspective on how complete Boston's 60-minute game is. It's not an NHL record, but damn is it impressive. At 2411:54 time on ice played, Suter led the league in total ice time and beat out the next closest player by over 9 periods of hockey. Suter played in every game for an average TOI of 29:24 which is roughly the same amount of time a full beer league game is. Suter played the 2nd most minutes ever in a single season and fell 37 minutes short of Brian Leetch's record set in 1998-99 when he played 2449:19. Suter is an absolute horse and will probably play even more in the playoffs. Franson finished 2nd in league hits with 283 and 1st out of all defenceman. If you actually watched most of the Leafs games you would be shocked by this stat since he isn't known for being much of a hitter. Franson must have had some friends counting hits for him season as 283 seems quite generous for a player who often resembled a turnstile this season. Franson is now an restricted free agent and will be sure to use this hit statistic for negotiating his new contract. The Devils were the only team not to win in the shootout this season with a 0-13 record. They were so bad in the shootouts that on 45 attempts they only scored 4 times. With their 0 shootout wins, they join the 2006-07 Carolina Hurricanes as the only team to not win a shootout in a full 82-game season. The Devils finished 5 points out of the playoffs and easily would have made it had they sported even a .385 shootout record. Look's like they should add more shootout practice to the training schedule next year. Franson is done as a Leaf....Hello Edmonton.